Baby carriers are an excellent way to keep you and baby close, hands free and happy. But while they can make a walk in the park more enjoyable, they can also pose risks if not worn properly. 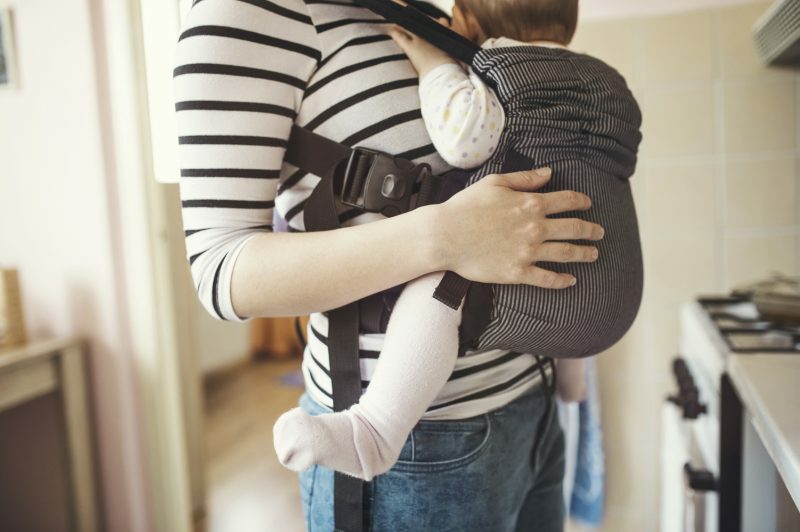 Before you head out, be sure your carrier is appropriately sized for your baby, is comfortable for you and baby and, most importantly, keeps your baby safe and secure. There are 2 types of carriers available, one is pouch-like and the other has a frame. The carrier should have straps that prevent your baby from falling or crawling out. Look for firm, padded head support. Try to match your baby’s size and weight and make sure there’s enough depth to support the back and the leg openings are small enough to prevent your baby from slipping out. Check for ease of use. Some of the soft ones are difficult to put on because of numerous straps. A framed carrier should have a kickstand that locks in the open position. The folding mechanism should be free of pinch points that could catch your baby’s fingers. Look for padding on the metal frame around the infant’s face. Never use a framed carrier before your infant is 4 to 5 months old, and don’t use it as an infant seat. It can tip over without warning. Try the pack on for comfort. Many stores will let you walk around with one on to make sure it’s a good fit for you before you buy it. Ideally, the fabric should be durable with strong stitching or large heavy fasteners to prevent slippage. Check the carrier periodically for loose fasteners or ripped seams. Use restraining straps at all times if your carrier has them. Pockets or zippered compartments are handy for storing frequently needed items. Be sure the carrier is approved by the Consumer Product Safety Commission and register your carrier to stay aware of product recalls. Once you’ve selected the right carrier, Heather says it’s important to use the carrier safely. 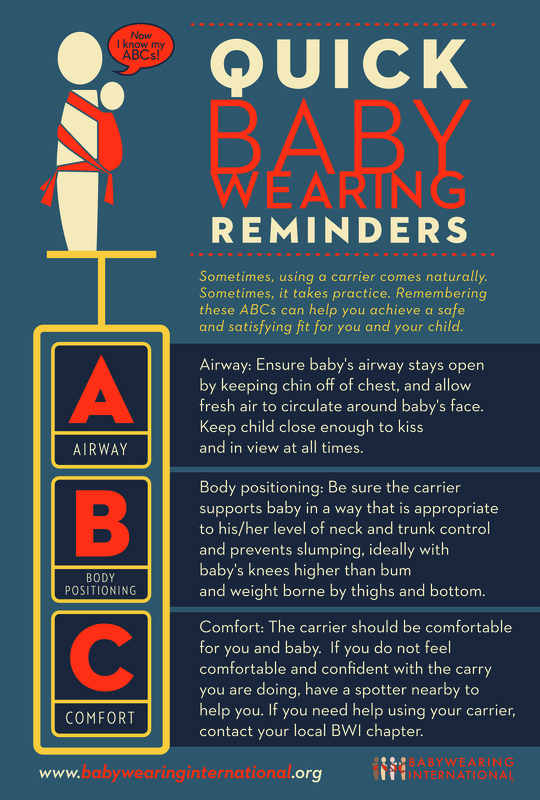 “A parent and child can enjoy the close snuggle time a carrier offers by following the ABCs of using one – airway, body position and comfort,” she said.